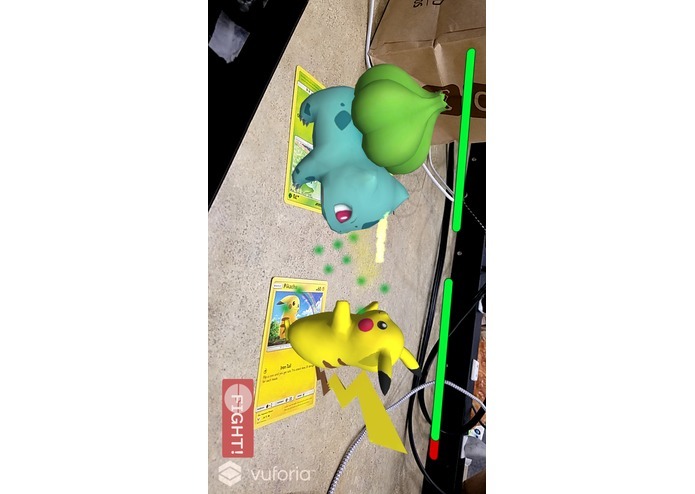 Pokemon and Tamagotchi! 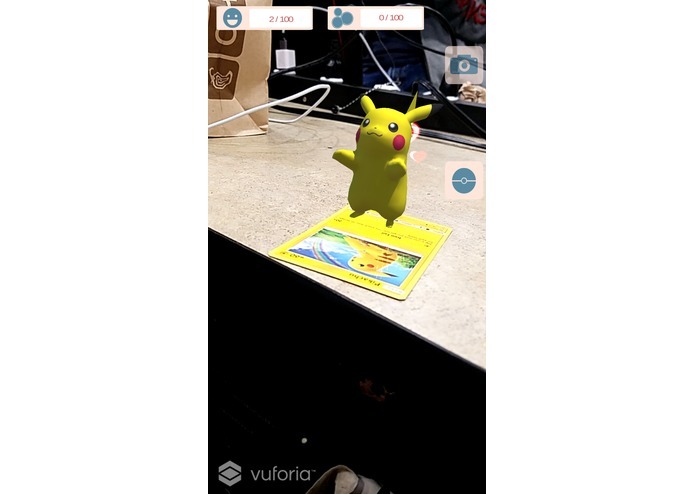 We wanted to combine the physical aspects of Tamagotchi with virtual renditions of Pokemon to create a compelling experience with augmented reality. 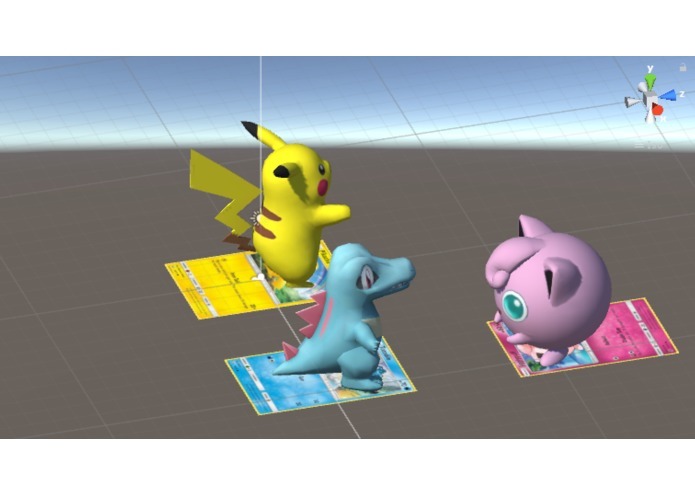 Allows users to translate Pokemon cards into a augmented reality environment and care for them as if they were virtual pets, a la Tamagotchis, and battle each other as if they were Pokemon. We used Unity, Vuforia, and C#. Many of us did not know Unity and none of us knew how to work with Vuforia, but we were able to overcome this through extensive research and trial & error. Additionally, version control was problematic because of Vuforia and our initial limited comprehension of it. 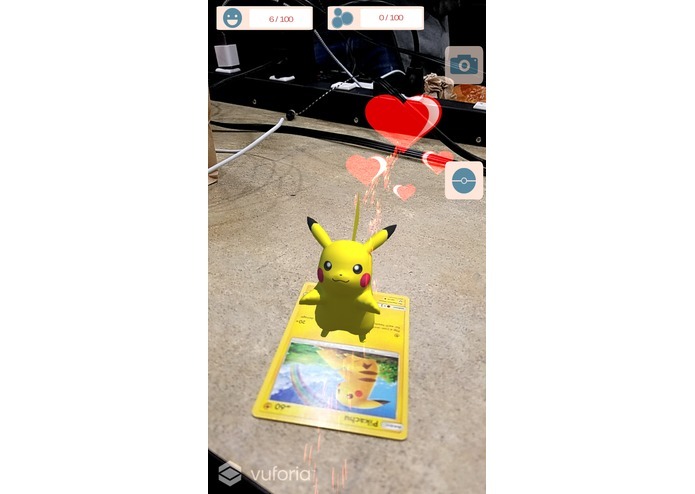 We were able to accomplish a fully fledged mobile app that utilizes augmented reality. We were able to not only meet, but exceed our goals. We learned the fundamentals of game design in a limited time period. We also learned how to deal with version control and work with developer tools. 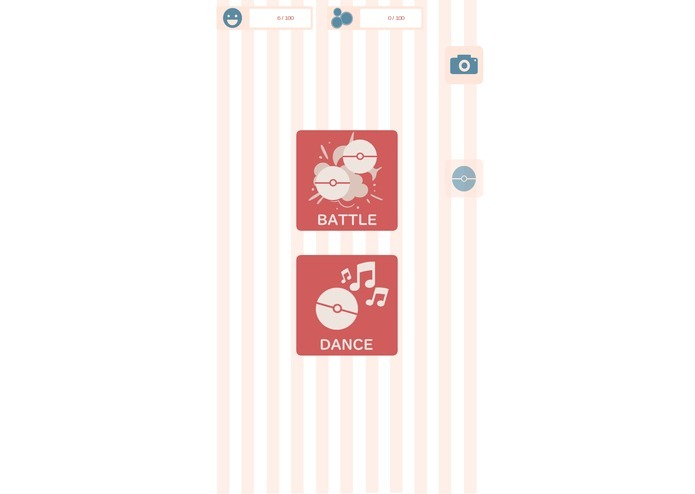 We are planning on expanding the database to not only make it multiplayer, but also include a vast variety of Pokemon. I worked on the underlining framework of the game, created majority of our assets, and designed the UI. I helped with the logic and design of both mini games. 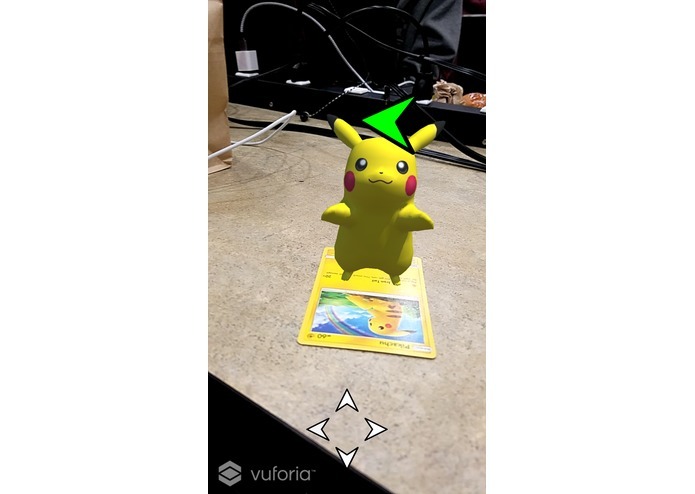 I worked on implementing Vuforia into the Unity environment, setting up Pokemon card recognition, attaching 3D models, and creating the framework and logic for the dance mini game. I worked on the animations for one of the features in our project. I also worked on the game logic for the feature discussed above as well as added some sound.